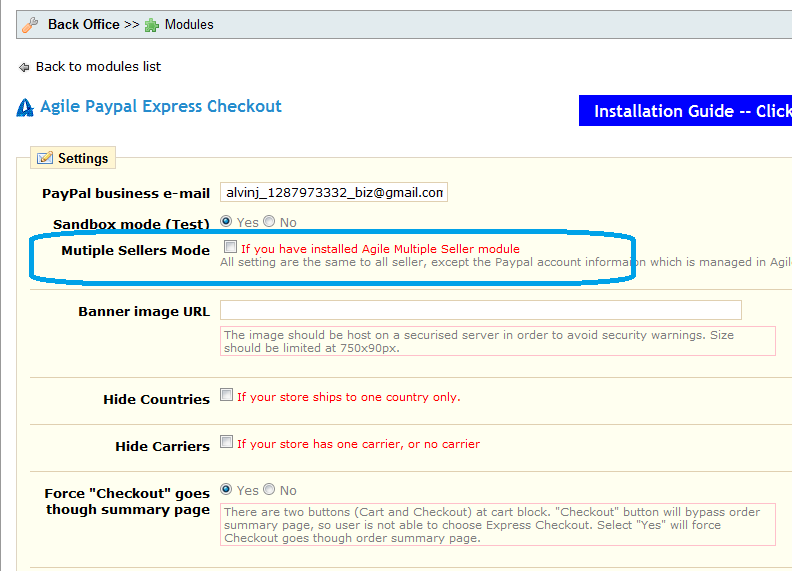 We proudly to announce that the new version of Agile Paypal Express Checkout module 1.3 released today. - Integrated to Agile Multiple Seller/Vendor modiule, make it possible for seller to collect sales. By combine this module with Agile Multiple Seller/Vendor module, the sellers/vendors can collect their own sales (money). 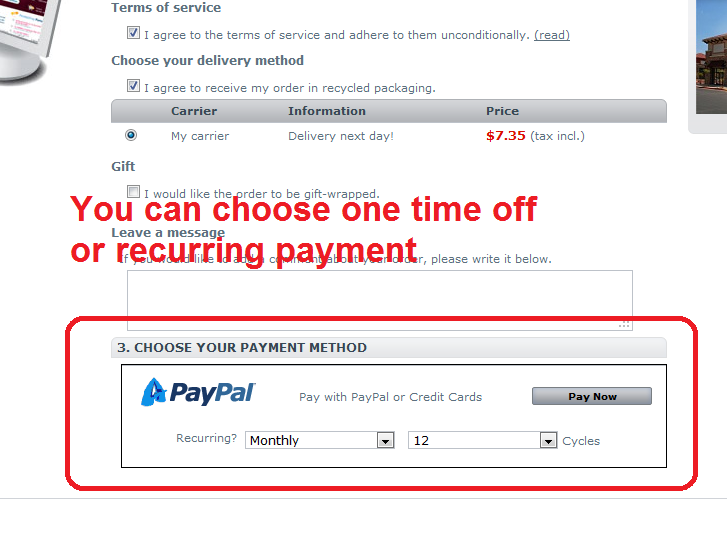 - When recurring payemt enabled, automatically show/hide recurring cycles based on user's selection of recurring or not. 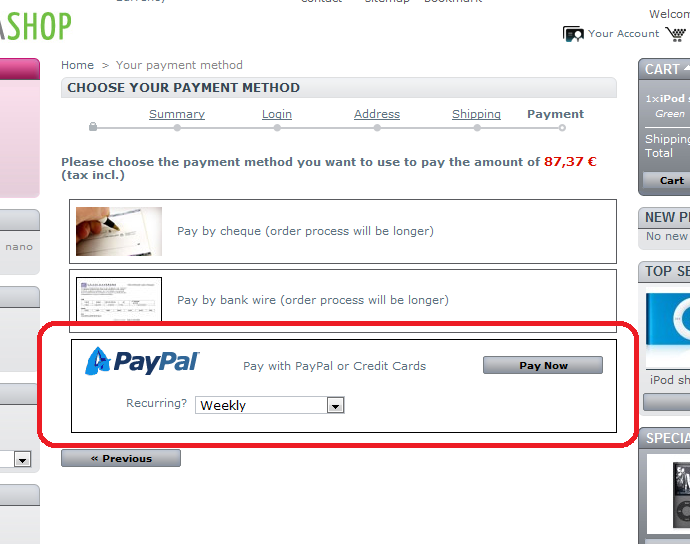 - Hide express checkout screen, instead, it will show up a normal payment module when you using One Page Checkout. 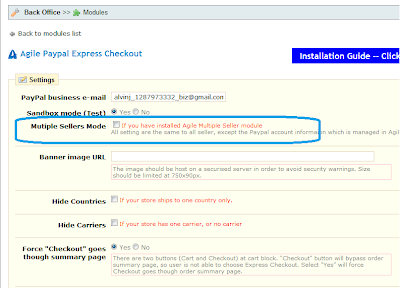 Agile Paypal Express checkout module is PrestaShop Paypal module that accept Paypal or major credit cards via Paypal. 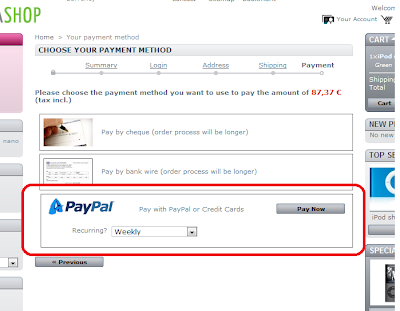 It can accept payment without customer registration. 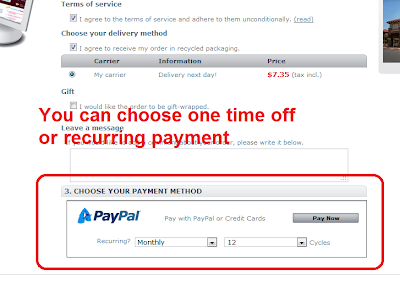 It also supports recurring payment, like monthly or yearly(any interval) subscription payment. Agile Multiple Sellers/vendors module is a module that enable PrestaShop multiple seller function, allow customer or any one signup as seller to list and sell products.